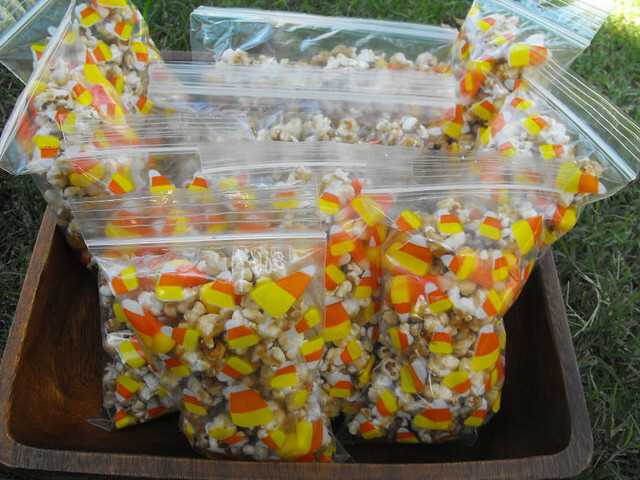 Just in time for Halloween goodie bags. I saw this posted over at Annie's eats a while ago, I immediately bookmarked it with the intention of going back and making it that very same day, but as usual, things got busy and I completely forgot about it. 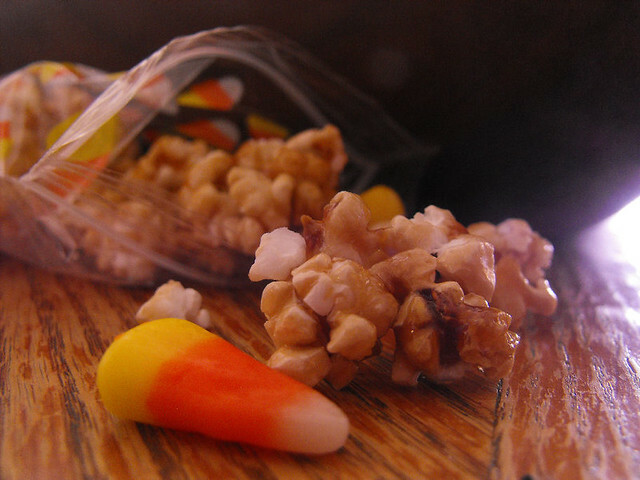 As I was going through my recipes today trying to find something for goodie bags or just to have around the house to snack on, I came upon the link. 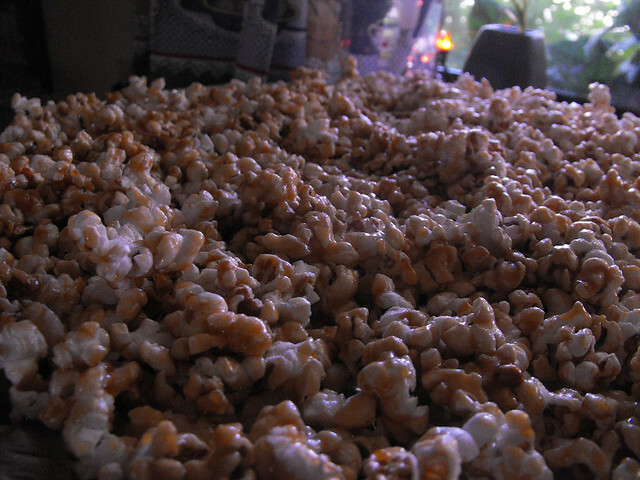 Caramel corn, I tell you it reminds me of the Cracker Jack boxes popcorn but without all the additives and nasty stuff they put in there and it whips up pretty fast too, easy and delicious. 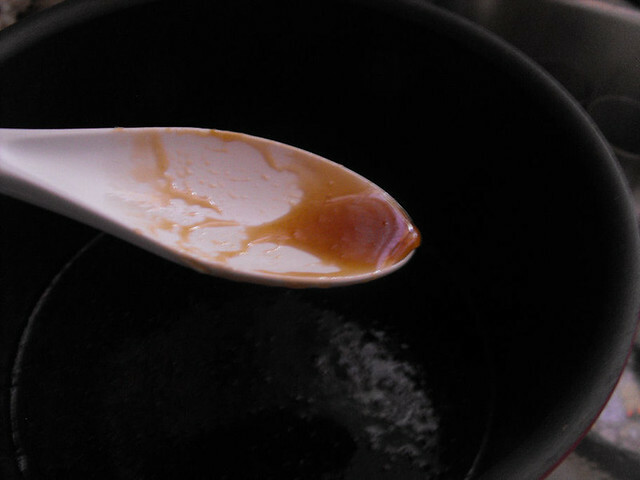 My kind of snack, though maybe I should stay away from it because I can see myself consuming insane amounts of this stuff. 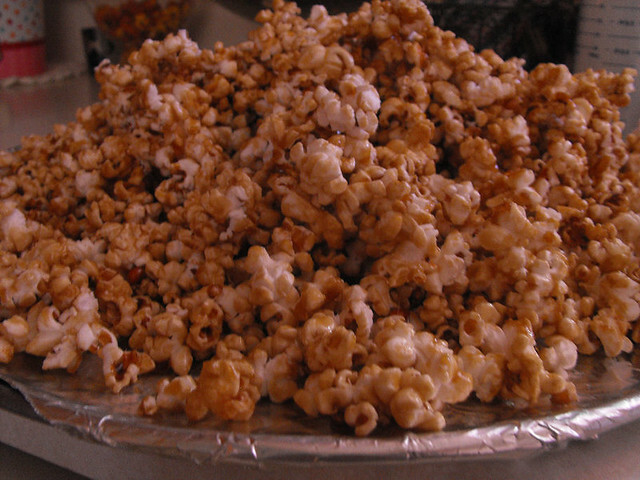 Place the popped popcorn in a very large bowl (or two large bowls). 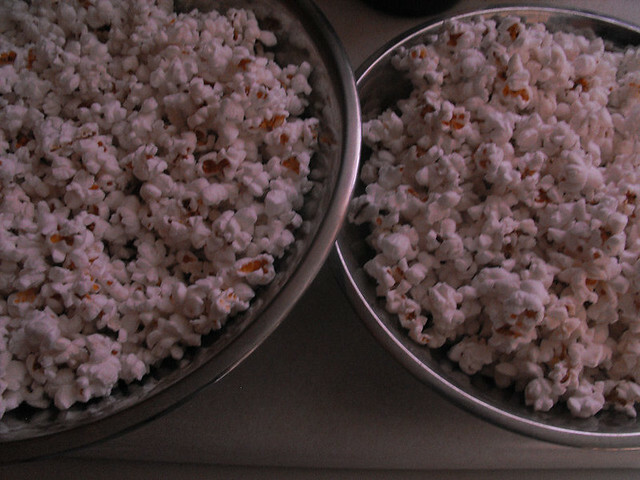 Make sure there is enough room in your bowls for tossing the popcorn. 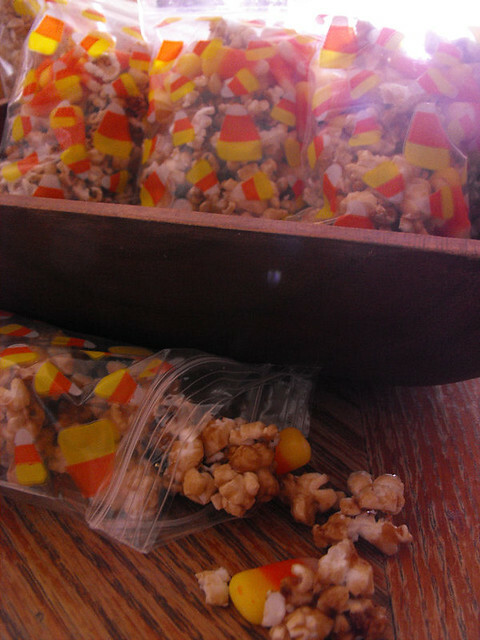 This recipe sounds so easy, we will definately try this out this autumn. I just got done making this! 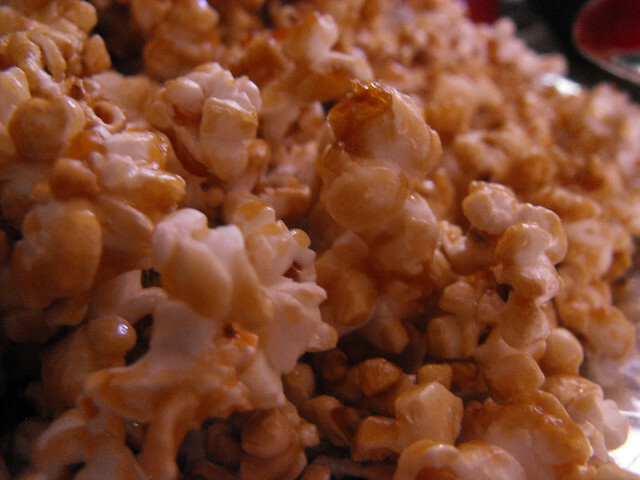 It is the easiest caramel corn recipe and the best! Thanks!